Jesse Eisenberg is an American actor. He is best known for his role as Facebook founder Mark Zuckerberg in the film "The Social Network". Films: "The Social Network", "Rio" films (voice), "The Squid and the Whale", "Batman v Superman: Dawn of Justice". He has been nominated for an Academy Award, a Golden Globe and 2 Baftas. He was born in New York in 1983. He is of Polish and Ukrainian descent. Actress Hallie Kate Eisenberg is his sister. He suffers from OCD and he is a vegan. He is currently dating actress Mia Wasikowska. Jesse Eisenberg is a famous American actor, who was born on October 5, 1983. As a person born on this date, Jesse Eisenberg is listed in our database as the 6th most popular celebrity for the day (October 5) and the 40th most popular for the year (1983). People born on October 5 fall under the Zodiac sign of Libra, the Scales. 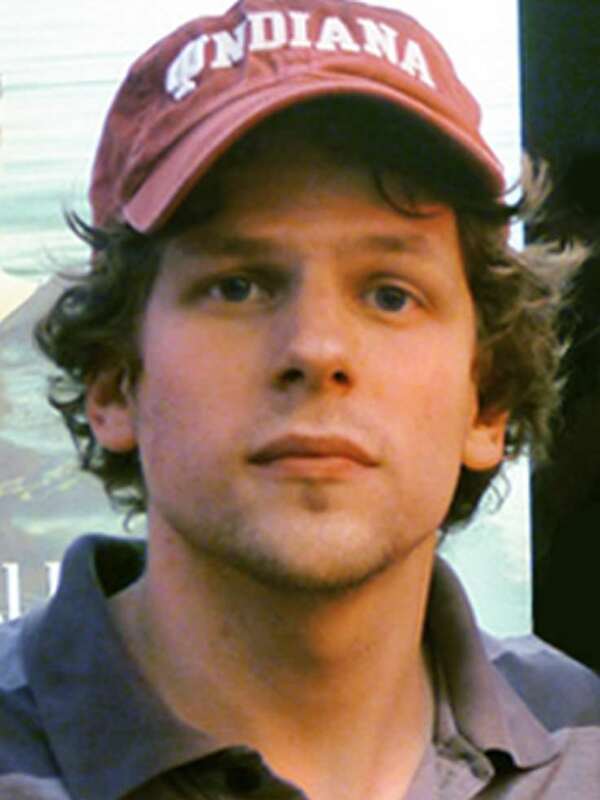 Jesse Eisenberg is the 172nd most popular Libra. Aside from information specific to Jesse Eisenberg's birthday, Jesse Eisenberg is the 1245th most famous American and ranks 54th in famous people born in Queens, New York, U.S. In general, Jesse Eisenberg ranks as the 2163rd most popular famous person, and the 445th most popular actor of all time. “The Famous Birthdays” catalogs over 25,000 famous people, everyone from actors to singers to scientists to serial killers and more. If you're curious to see who was born on your birthday, you can use our database to find out who, what, where, when and why. You can search by birthday, birthplace, claim to fame or any other information by typing in the search box, or simply browse our site by selecting the month, the day, the horoscope, or any other clickable option. 54th born in Queens, New York, U.S.